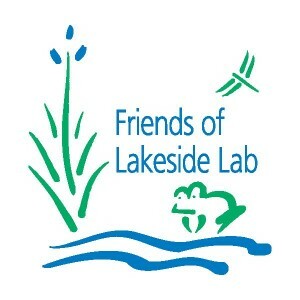 My first week here at Lakeside Lab has been full of all types of exploring. 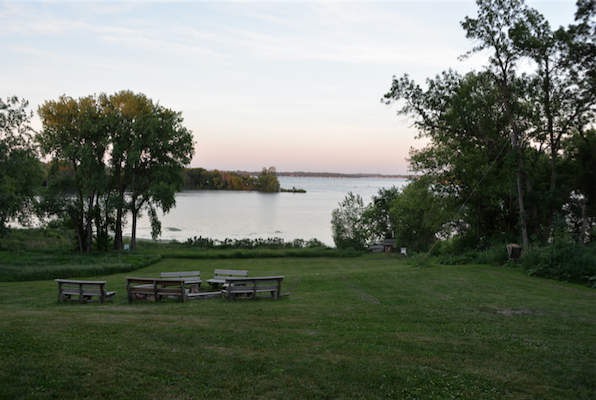 From exploring the grounds where Lakeside Lab is located, the collections in the many labs, and the lands that surround West Lake Okoboji. 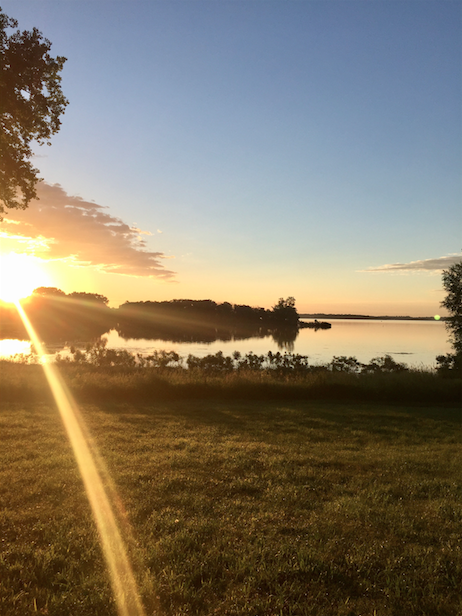 I arrived during the evening of June 9th, where I briefly walked around and watched the sunset over the lake. 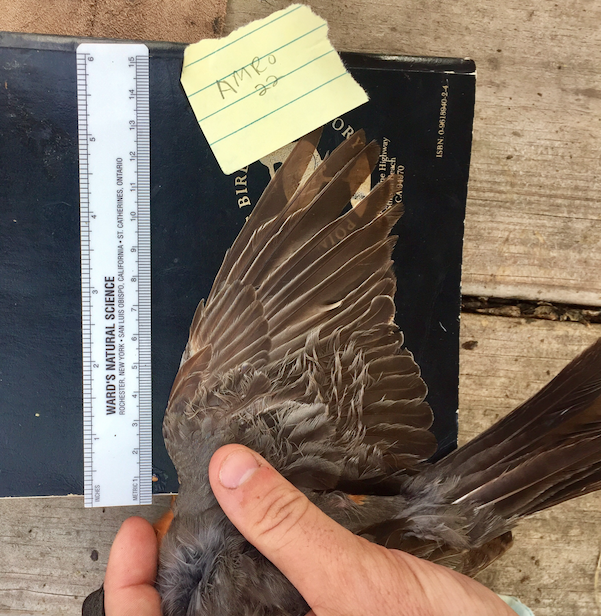 I looked over what classes were happening during my stay here, and was thrilled when I learned that an Ornithology class would be taking place. I e-mailed the professor, Neil Bernstein, about joining in on some of his classes, and he e-mailed me back saying that would be just fine. The next morning at breakfast, he immediately found out who I was, greeted me, and made me feel very welcome here at Lakeside. At breakfast, I also met Brian Schorn, one of the other Artists-in-Residence here, and he showed me our studio space, and all around the different labs. 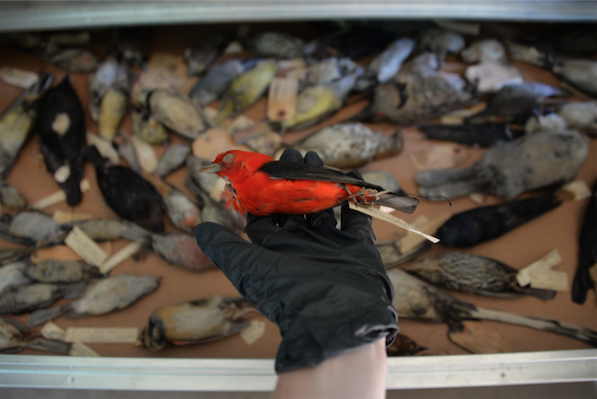 Naturally, that afternoon, I walked right over to King Lab and opened every collections drawer to admire all the bird study skins. I also looked through the insect collection here, which is where I found inspiration for my first art piece. Back home in Los Angeles, I’ve been assisting with a research project in the Entomology Department at the Natural History Museum. 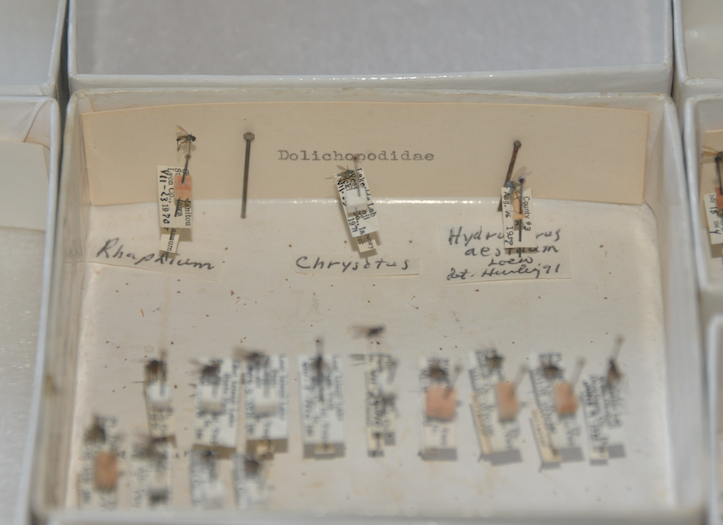 I’ve been going through tons of specimen jars from 2014 and pulling out this one specific type of fly: Dolichopodidae. 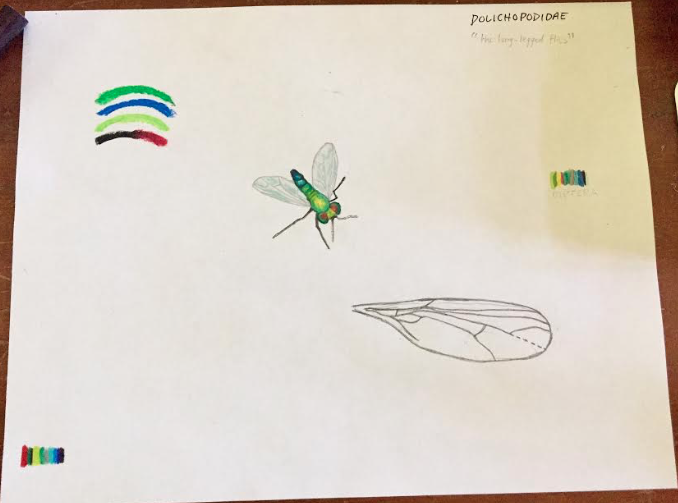 I found Dolichopodidae specimens here in the Lakeside collections, so I walked over to Bodine Lab, set up my studio space, and began my “warm-up” art piece: a watercolor & color study of a Dolichopodid. 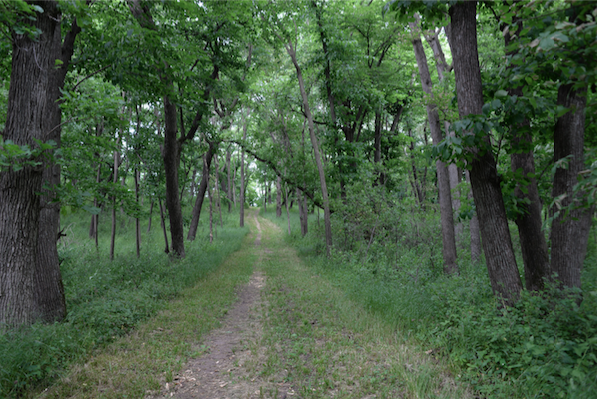 That afternoon, after lunch, I walked around the trails more at Lakeside, and saw 21 bird species, including a Bald Eagle that nests on the property. This got me ready and excited for all the other species I’d see while I was here. That evening, Jane (an outreach teacher here/kids camp counselor) invited the three artists-in-residence to her and her husband’s house on the other side of the lake. We had a lovely dinner and conversation with them, and went for an evening walk around her side of the lake, where we collected plankton, and saw a pregnant Whitetail Deer lay down in the grass and eat for awhile. The next morning after breakfast, I made a solo journey out to Kettleson Hogsback Nature Reserve. I ended up staying here for hours, watching for birds over the lakes and marshes, and walking through the woods and prairie areas, where I saw 28 bird species, and got photos for my next art piece. My main medium is film photography, but I figured while I was here, since I can’t show any of my film photos until after I go back home and develop them, that I could brush up on the other mediums I like to use: drawing with pencil, color pencil, oil pastel, and watercolor. I knew while driving from the airport to Lakeside that I wanted to do a piece that incorporated a Red-Winged Blackbird since they were everywhere on the sides of the highway! Above is a photo of a work-in-progress. A watercolor of the Red-Winged Blackbird based on a photograph I took at Kettleson Hogsback. I have since covered the white area with real bark I collected, since the blackbird was perched on a log. 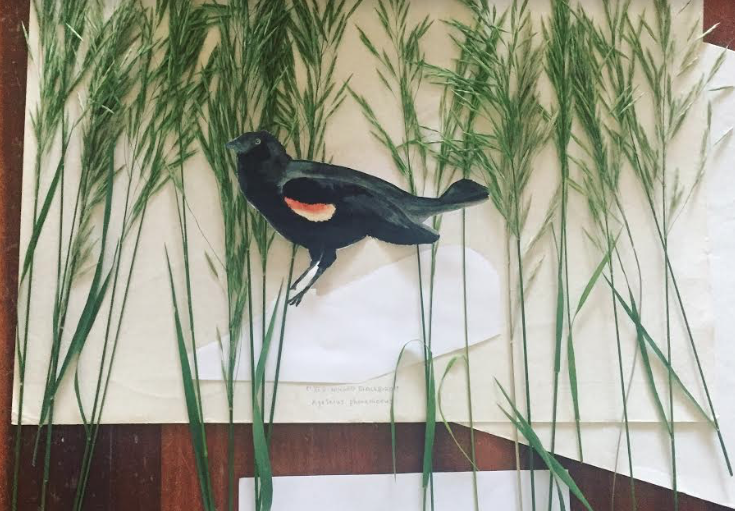 I also pulled real Brome grass to add a textured background and familiar habitat that these birds like to hang out in. 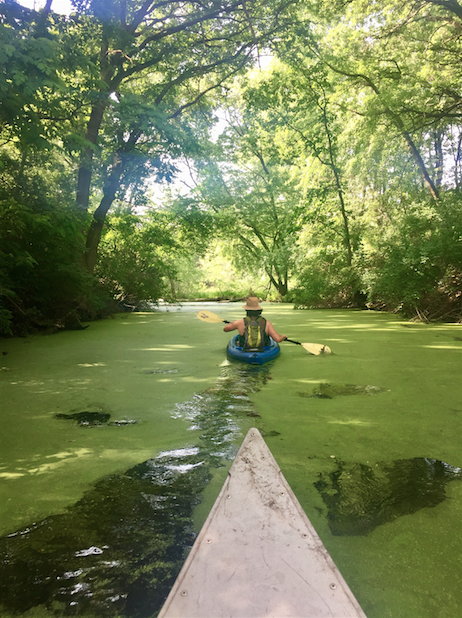 Kassha (the other Artist-in-Residence) and I spent an afternoon searching for Silver Lake Fen, but didn’t succeed in finding that. 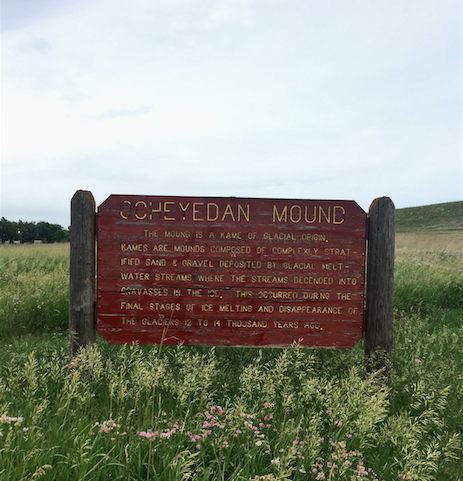 We did wander through some prairies, wetlands, and old crop fields before an afternoon rainstorm. We gave up, went back to Lakeside, had lunch, and then joined Neil’s Ornithology class. 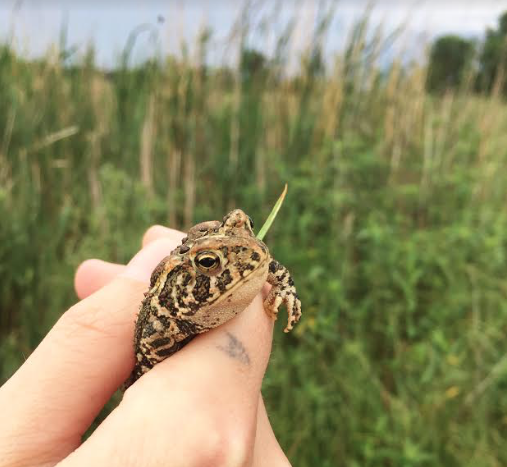 He ended up taking us over to Silver Lake Fen, where we found some Leopard Frogs, American Toads, 15 birds species, and searched to see if a rare orchid was still in bloom. While driving back to Lakeside, we noticed something in a soybean field. 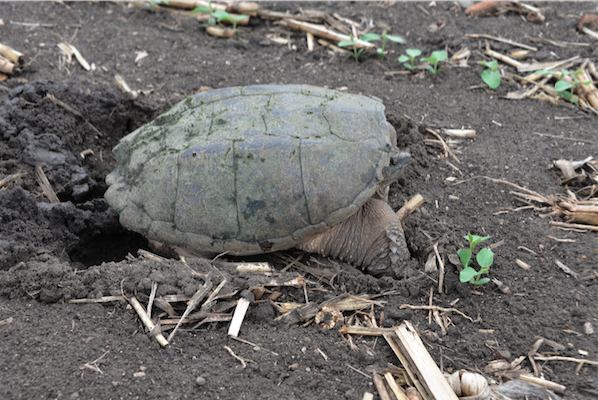 We pulled over, hopped out, and walked carefully up to a giant snapping turtle laying her eggs! The next day (June 13th) was my birthday! Neil arranged to bring me and his Ornithology class on a canoe/kayak ride across Lake Okoboji to see some Purple Martins (among many other birds). 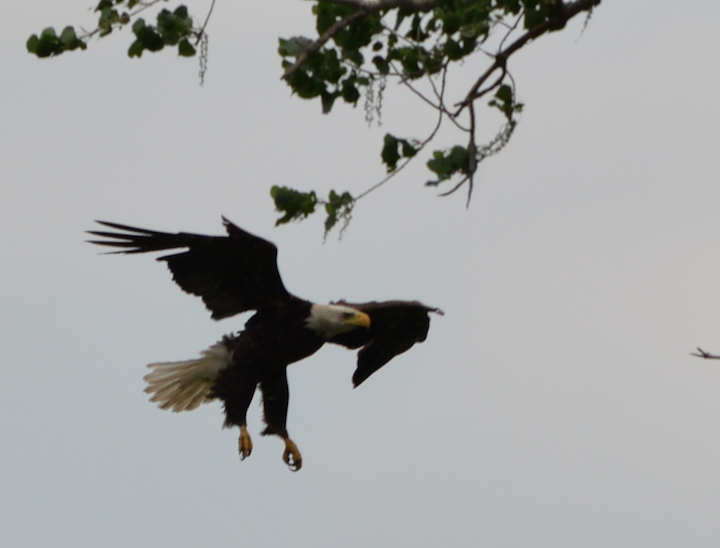 We spent the whole day out on the lake and saw 27 bird species, including the Bald Eagle chick up in its giant nest. On the 14th, I got up at sunrise to help the Ornithology class with bird banding. We set up mist nests along some trails at Lakeside. 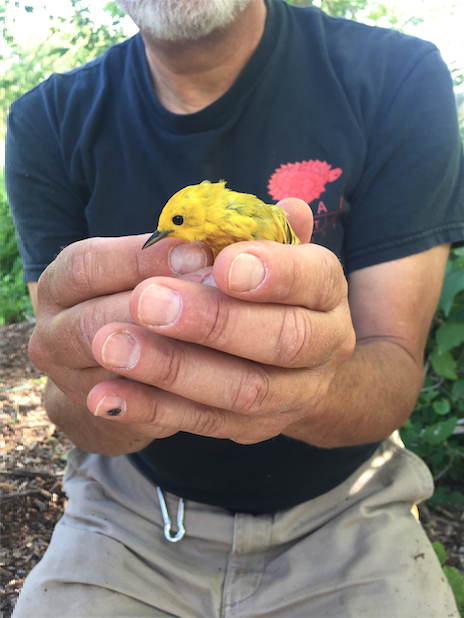 That morning, we caught and banded American Robins, Gray Catbirds, Song Sparrows, Yellow Warblers, and American Goldfinches. 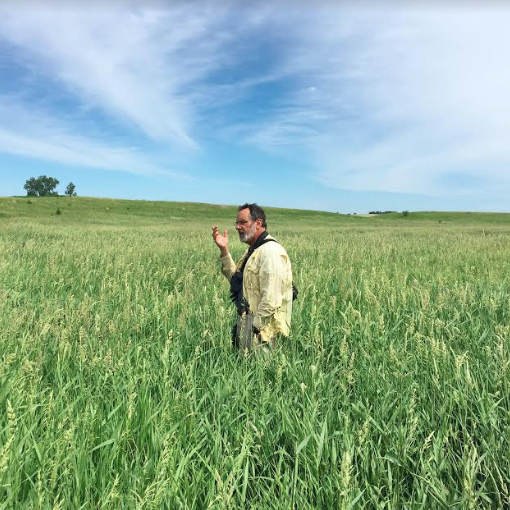 That afternoon, we went out to Meinking Marsh out in the prairie to observe a Ring-billed Gull colony. 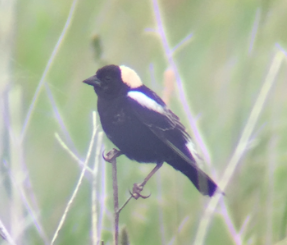 We observed 19 other species, including a bird I was particularly interested in seeing: the Bobolink. That evening I began working on a new piece of different Grosbeak species. 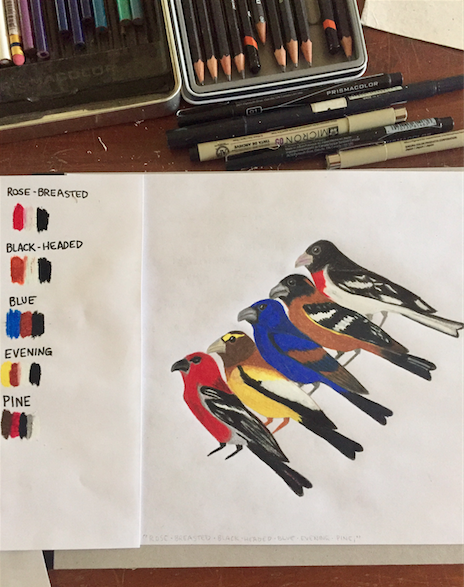 At first, I did a color study on North American Grosbeak species, and then I penciled 5 species lined up on top of each other, arranged by a poem written out of the species’ names: Rose-breasted – Black-headed – Blue – Evening – Pine. That might not sound like a poem to some people, but it sounds like a poem to me. I worked on that piece all night, finishing the first four species, leaving the last (Rose-breasted Grosbeak, local to Iowa) for the next day. The next morning, I was up at sunrise again to band birds. 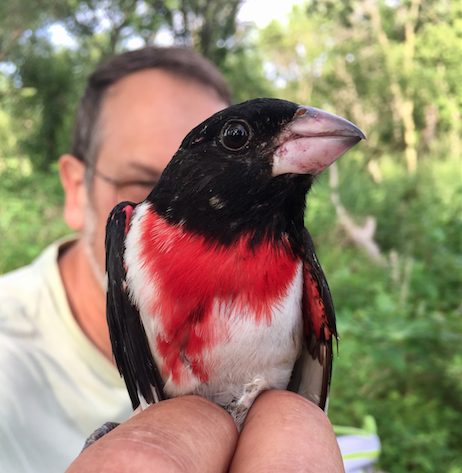 One of the first species we caught was the Rose-breasted Grosbeak. It only seemed perfect to finish my piece after seeing the bird that up-close. 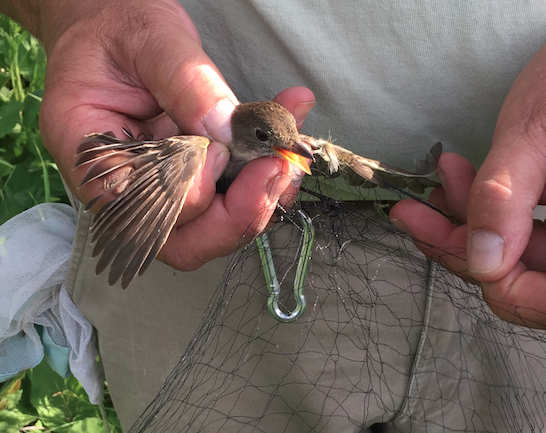 We also caught more American Robins, Gray Catbirds, Song Sparrows, Yellow Warblers, but this time we also caught a Tree Swallow, Common Yellowthroat, juvenile Baltimore Oriole, and a Willow Flycatcher that ended up getting away before we could band it. Later that afternoon, we went out to some bridges over the Little Sioux River to set up the mist nets and band some Cliff Swallows. Friday came around quick, and one week passed by me quicker than I imagined. 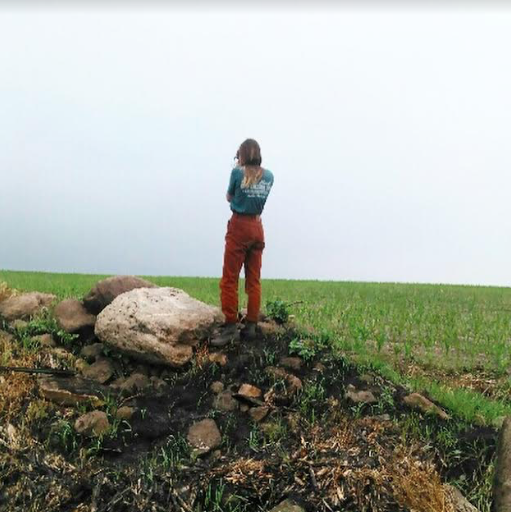 Kassha, ____ (the Writer-in-Residence here at Lakeside), and I went to Ocheyedan Mound and walked around and up it, and through the thick blooms of Crownvetch. Later in the afternoon is when I finished my Grosbeak species piece, and began to brainstorm about what I would do next.